Chim Lozang Drakpa (Tib. མཆིམས་བློ་བཟང་གྲགས་པ་, Wyl. mchims blo bzang grags pa) (1299-1375) — also known as The Omniscient Chim. He is the author of the most famous Tibetan commentary on Vasubandhu's Abhidharmakosha, An Ocean of Excellent Explanations Clarifying the Abhidharma Kosha, often known simply as 'Chim Chung'. 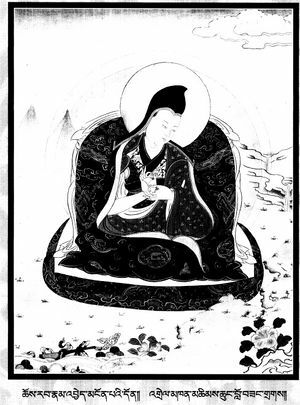 It is known as 'the smaller commentary', since it is a concise commentary much smaller in size as compared to the commentary The Ornament of Abhidharma, by his student Chim Jampé Yang. This page was last edited on 27 October 2017, at 18:21.